Ralph Peschek, CFO, William S. Hart Union High School District, walks through the process of signing into KRONOS for the first time. Ralph Peschek, CFO, William S. Hart Union High School District, walks through the process of Clocking IN and OUT using KRONOS. 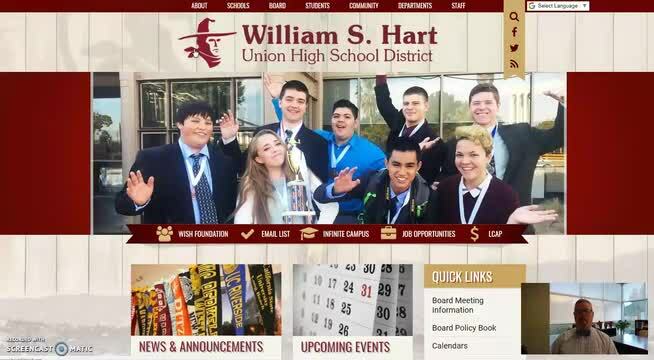 William S. Hart Union High School District is accredited by the Western Association of Schools and Colleges.